In recent months Donald Trump has signed numerous questionable executive orders, all of which have been covered extensively by news sources. The most recent executive order to surface in the media is Trump’s plan to roll back Obama’s clean energy plan liked he promised he would during his campaign. This Clean Energy Plan was put in place by Obama’s administration as an attempt to cut carbon emissions from electricity generation by a third in the next fifteen years. As carbon emissions are the leading cause for a climate change, a cut in these emissions would have been a huge step forward in helping the environment. The unwinding of the Clean Energy Plan won’t happen overnight but as of today, Trump has offered no replacement for the plan. While this cut of the Clean Energy Plan is the most recent, it is most certainly not the first dangerous move Trump has made in terms of the future of our environment. 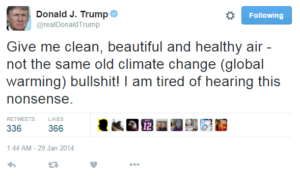 Trump quite notoriously does not care about the environment, he seems to only care about instant gratification of money and job creation (neither of which will matter if the environment is destroyed but I won’t get into that). Below I offer a short list of a few other environmental downfalls of the Trump administration. Yes, you read that right. 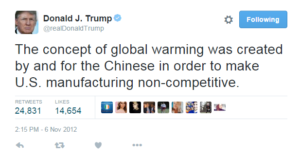 The leader of the United States does not believe in climate change. Let’s not forget his famous tweet on the topic. 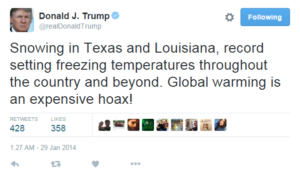 And a few other questionable tweets about the ‘hoax’ of global warming that have been often overlooked. His name is Scott Pruitt and he might be just as terrible as Trump. He is a climate change skeptic, no surprise. Therefore Pruitt has offered no plans for how he intends to mitigate climate change during his time as the head of EPA. Which is you know, only like the most important aspect of that position. He has long standing ties in the oil and gas industry, again no surprise. Pruitt also has a long history of being opposed to the EPA, the exact agency he is now running. His opposition to the agency is so strong that during Obama’s administration Pruitt filed fourteen lawsuits against the EPA, including suits attempting to block the efforts of clearing smog from national parks and cutting carbon emissions in energy production. He has even mentioned his desire to have the entire agency dismantled. The endangered species act created in 1973 is defined as “ an act aimed to provide a framework to conserve and protect endangered and threatened species and their habitats”. The Endangered Species List for the United States currently has over 1600 different species on the list that they are aiming to protect from complete extinction. Last month, a Senate hearing was held on the topic of “modernizing the Endangered Species Act”. In short, Trump and his administration are not a fan of the ESA for two reasons, it cost money to protect these species (money that Trump would rather spend on anything other than helping the environment) and secondly because they believe it “overreaches and harms the drilling, logging and mining industries”. Which is their way of saying “the regulations put in place to save these animals from being gone forever are preventing us from making money, which is more important”. Not to mention these are the exact industries that are to blame for a majority of these species being placed on the endangered species list in the first place… You really can’t make this stuff up folks. Fortunately, the Endangered Species Act is widely supported and it will be tough for Trump and his administration to make changes to the act, but this does not mean they will not attempt to. Species expected to be heavily targeted by Trump’s administration are gray wolves and grizzly bear as they both pose a threat to the farming and ranching industry. The Paris agreement is an agreement signed by over 190 countries stating they will work together to lower their carbon emissions and limit global warming to within 2 degrees celsius of pre-industrial levels. 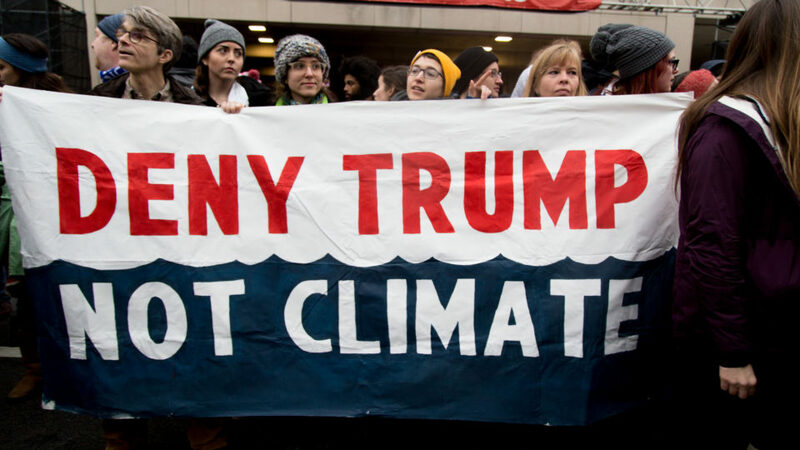 While Trump hasn’t done anything in terms of the Paris Agreement yet and many remain unsure if he ever will, in his campaign he vowed to ‘cancel’ the United State’s participation in the agreement. The Paris Agreement would take a big hit if the United States were to withdraw, as we are one of the top polluting countries in the world. From the get go Trump has shown his support of the highly controversial Keystone and Dakota Access pipelines. The Dakota Access and Keystone pipelines have been highly protested and talked about in recent months as many fear that these pipelines will cause water quality issues, among a host of other environmental issues. Within days of being in office Trump signed executive orders to revive the creation and continuation of these pipelines. He did this less than one month after a pipeline in North Dakota spilled 530,000 gallons of oil into a small creek that feeds into the Missouri River. This topic portrays Trump’s complete disregard for caring about anything other than making money. 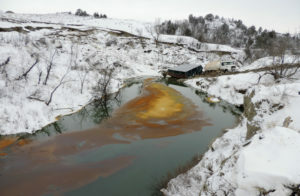 December 2016 oil spill (via Indian Country Today). 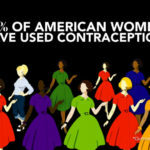 While much of these outrageous laws and ideas are still in the works and under heavy debate, it is pertinent information I believe everybody should be aware of. This has all taken place within two months of Trump’s presidency. If Trump succeeds in his plans I can only imagine the damage it will have on our already struggling environment. I can’t begin to scratch the surface of major environmental topics in this article, therefore I urge all readers to take this base knowledge and use it for further research and self education. As I believe one of the biggest threats to our environment is society as a whole simply being unaware of the issues. 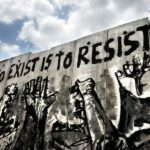 For more information on these topics and ideas of what you can do to help the environment during Trump’s presidency check out these websites.